We had a banner day over here yesterday - it was our first puddle splashing day! With long pants, sturdy shoes, and rain coats, we stomped outside and felt cool drizzle tickle our noses. Eddy thinks the American sign for "rain" is hilarious and that cars spraying up drops is even funnier. Bravely, we made our way to the end of the driveway where an Eddy-sized stream had formed and, looking up at me, he cautiously put one foot in and laughed. I showed my approval by doing the same and we found our rhythm, splashing down the street. I left the front door open and Lucy joined us. 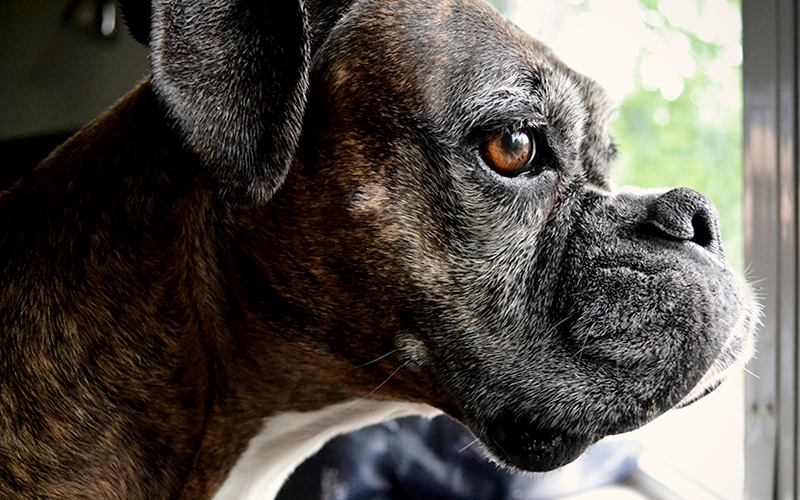 She was a nervous wreck - of course - and kept dashing to the stoop looking at us like we were crazy. After 10 minutes, we shuddered inside, took off our cold clothes, and wrapped up in warm towels. Here in our parched city we are loving this rain. Our yard may look like a jungle but it sure is green. 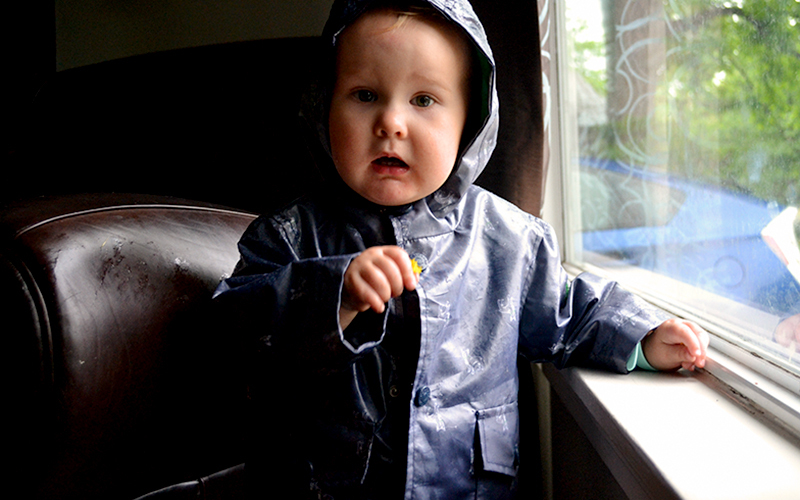 Adorable,I love how your little one seems unsure of the raincoat. Puddling jumping, such a necessary rite of passage. I'm sure he tore it up out there! What fun! Can't wait for those days, it makes the idea of my little girl growing up seem not so bad.